Findlay Irvine, based in Penicuik since shortly after its inception in 1960, manufactures a range of transport related safety equipment. China’s burgeoning transport infrastructure led Findlay Irvine to explore opportunities in both rail and civil aviation. Ultimately, following an initial trip to market in 2015, an opportunity was identified to export into the airport maintenance market. One item of equipment in particular, which helps to ensure the safety of runways by measuring their skid resistance for take- off and landing, the ‘GripTester’ was thus selected as an initial focus. Findlay Irvine commissioned CBBC to identify and verify potential agents in the Chinese market and once an agent had been selected the process of navigating the complex regulatory environment of Chinese civil aviation could begin. This approach finally bore fruit in December 2017 when the first sale was secured and shipped to China. 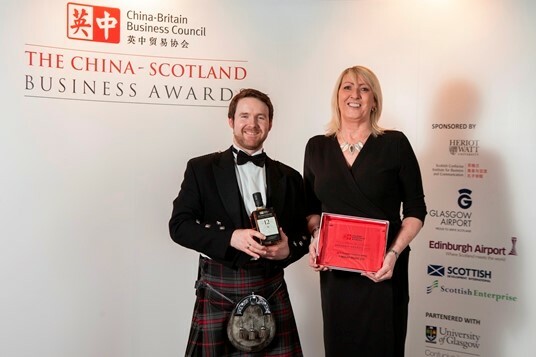 Today Findlay Irvine is on the necessary approved vendor list, Sales Director Rob Sims at Findlay Irvine is concentrating on supporting the in-market representative to win more sales into the Chinese airport maintenance sector. If this product line is proven to be well received in the Chinese market, several other product lines, such as those in Rail and Roads, will be explored in China as well.